Approved Repairs London, Berkshire, Buckinghamshire, Hertfordshire, Kent, Surrey and Hampshire. Our hard work and high standards have granted us numerous industry approvals and accreditation's over the years. We have the BSI Kitemark approval at a number of our sites across London, Berkshire, Buckinghamshire, Hertfordshire, Kent, Surrey and Hampshire. 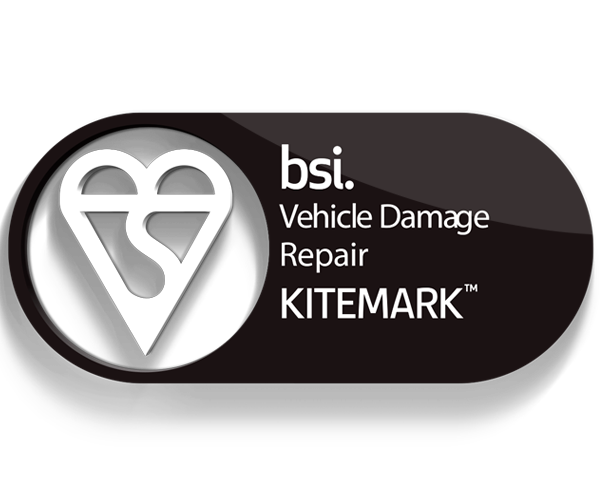 The BSI Kitemark for PAS125 guarantees a high standard of repair to your vehicle. The Kitemark is there to show the motorist that the highest standards of repair have been applied to your vehicle. It means that the actual repair has been done safely, using the right materials and by a skilled technicians so that your vehicle offers you the same protection as it did before your accident. It also establishes that we have auditing systems in place, to make sure that our people are fully trained and the techniques used are correct to industry standards.